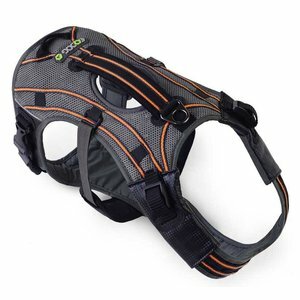 A light, multi-functional and modern dog harness with an excellent fit. 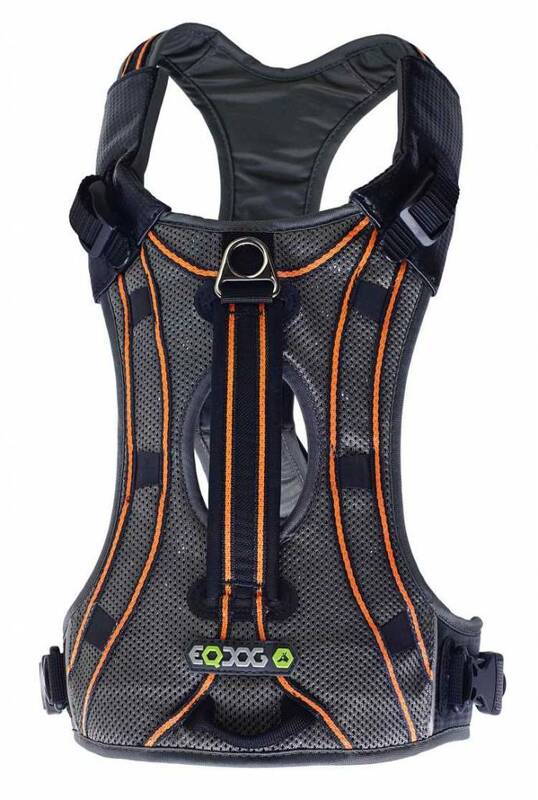 The lightweight and durable gear is not only well suited for normal everyday use, but also for training and quests. 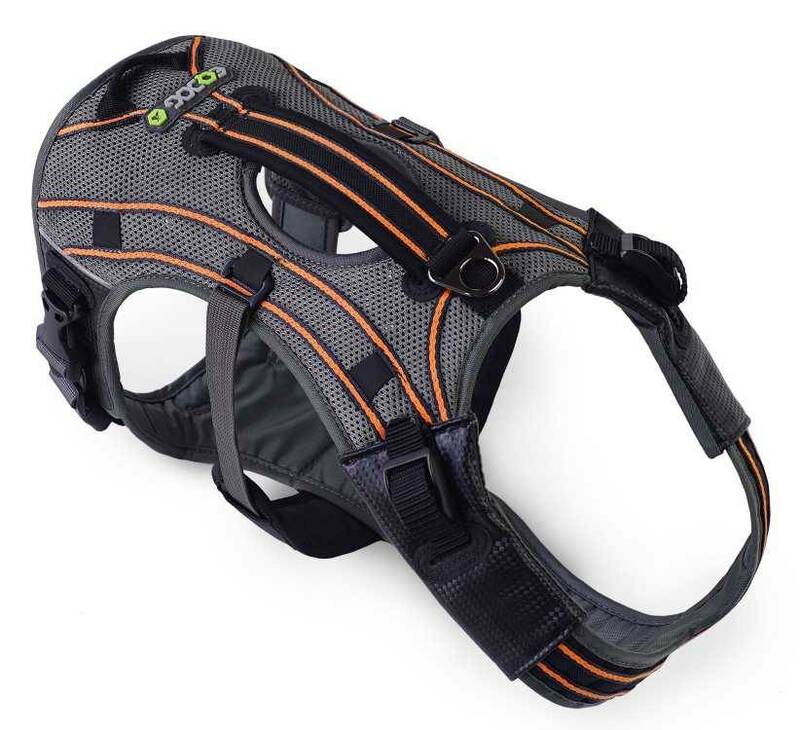 A beautifully designed lightweight dog harness that can be used very well in most situations. 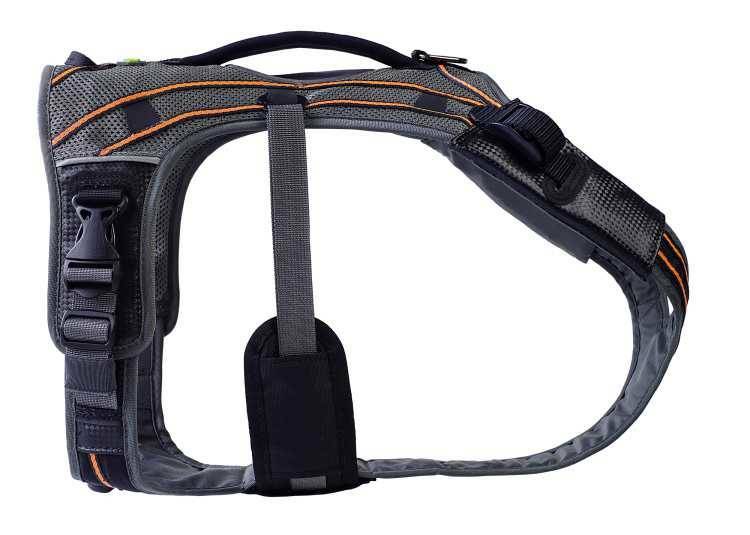 The harness is particularly well suited for walking and hiking because you can attach backpacks to it (optional). It has various options to attach the leash, so you can also use the dog harness very well for training, treasure hunts and anti-pull training. on the chest for anti - pulling. 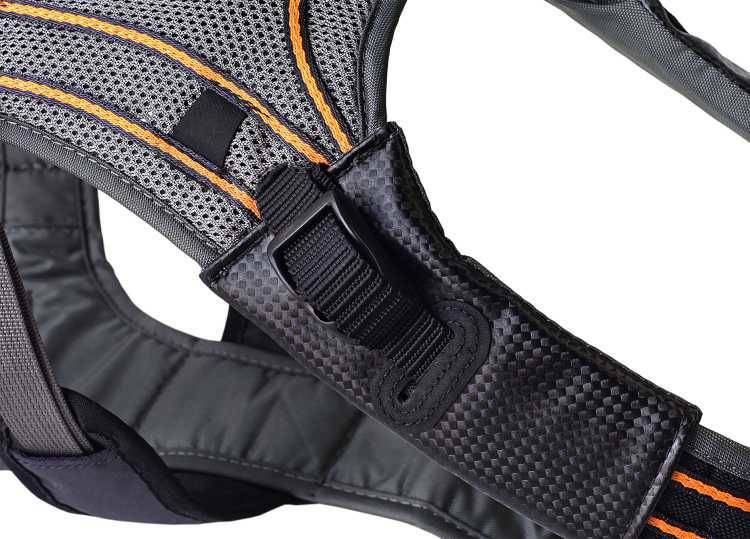 The belly strap can be easily adjusted and is well placed to prevent the dog from escape out of the harness. The belly piece is completely waterproof and therefore simple to clean. There is more than enough space behind the armpits to prevent chafing and to retain full freedom of movement for your dog. The strong and comfortable grip on the top of the rig can be used by you to support and to help your dog. The grip is also practical to hold the dog in unexpected situations. 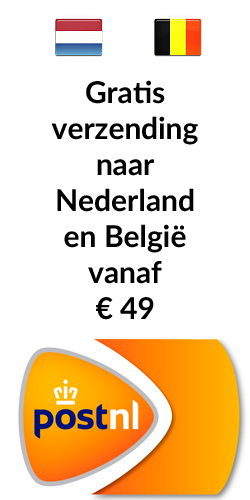 Colour: black with orange reflective stripes. * You need to measure the size of the neck at the base of the neck. 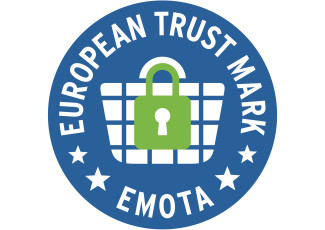 Dit is het tweede exemplaar dat Snuitje heeft. Aan de lijn kan hij zich niet meer bevrijden. Mijn enige probleem is dat hij zijn eerste exemplaar op een of andere manier in het bos is kwijt geraakt. Hoe is me niet duidelijk. Ze waren er met drie honden vandoor en na circa 1 uur hadden we hem weer ingevangen maar zonder tuigje. vandaar maar vier sterren.